Want to make mummy moves this year? Of course, you do. A mummy costume is one of the most classic and traditional Halloween costumes you can wear. As Halloween authorities, we recommend everyone tries it at least once. Becoming a mummy involves keeping your identity completely under wraps. (He, get it? "Under wraps." We know, we're hysterical.) 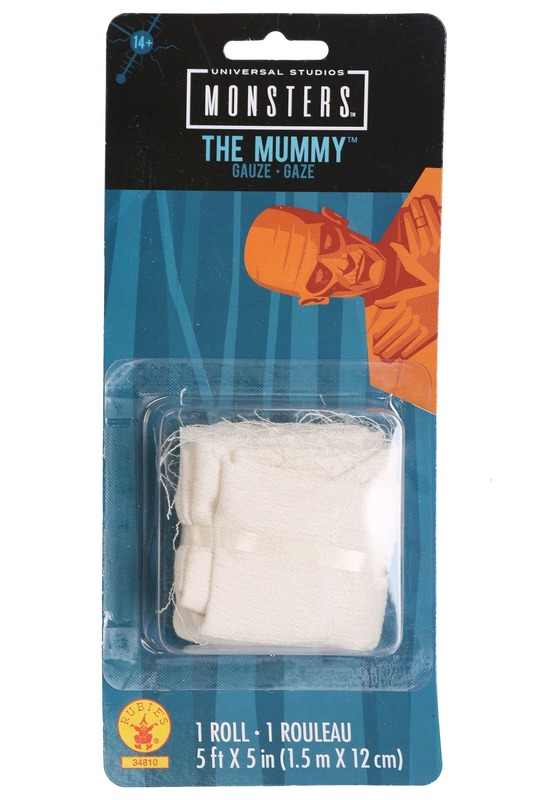 Toilet paper is an assumed essential and can achieve a mummified look but we've found something better: the mummy wrap gauze accessory. Put down the TP (you'll be happy you did later when you come home from the Halloween party and realized you drank way too much punch). The mummy wrap gauze accessory is a convenient costume in a small, chic package— it's everything you need to embalm yourself and trust us, it'll be more pleasant than it sounds. Officially licensed from Universal Studios, the single gauze roll covers bodies that are approximately 5'5" so if you're taller, you may need two rolls. Or even three! 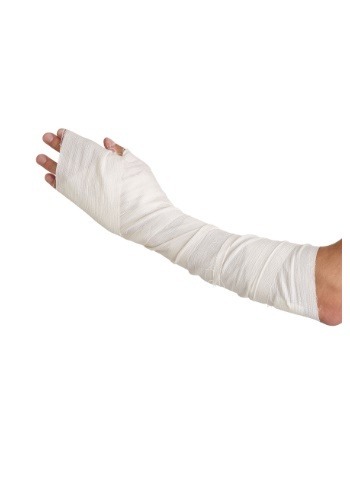 It's the perfect accessory to complete any type of mummy costume. Picking up this gauze accessory will save you tons and time and energy (and toilet paper too.) Don't forget to check out all of our mummy accessories too.